Nursing Home Abuse Tulsa: Who Can Be Held Liable for Nursing Home Abuse? Four million elderly individuals are estimated to have suffered from physical and psychological abuse or neglect every year in the U.S., many instances occurring in nursing homes. Finding definitively proving responsibility in a nursing home abuse claim can be difficult to determine. Finding the staff of a nursing home or long-term care facility liable for abusive acts can involve several factors and may require legal guidance that will be crucial to exposing those responsible for harming or neglecting your loved ones. 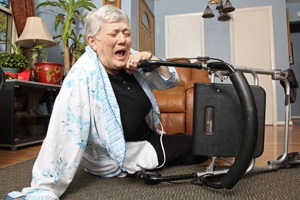 At The Edwards Law Firm, our personal injury lawyers can help you with your nursing home abuse case. Call us today for a free case assessment, and learn more about nursing home requirements below! A failure to provide any of these services could put nursing homes and long-term care facilities at risk for legal liability when accusations of neglect are made over inadequate services. Nursing homes are ultimately responsible for the actions of its staff as well. Staff members should be well trained and required to pass background checks when hired as employees of nursing home facilities. Nursing homes are responsible for the actions of its employees and can be held liable for any form of abuse or neglect that occurs within the facility. Not sure how to report nursing home abuse? Learn more here. Although third parties may be found liable for abusive acts against residents, nursing homes still assume at least partial responsibility for failing to prevent or having practices that allowed the abuse to happen. If you suspect that your loved one has been abused or neglected while under the care of a nursing home or long-term care facility, the nursing home abuse lawyers at The Edwards Law Firm can help bring those responsible to justice. Our attorneys are experienced in protecting the rights of the elderly and have witnessed firsthand the harmful effects abuse can have. We will review your claim for free to determine if you have grounds for a legal case and are entitled to compensation. We work on a contingency fee basis and will not be paid unless you receive a favorable outcome. Contact us today to get started.